Have you upgraded your Windows 7/Vista/Xp or Windows 8 Release Preview to Windows 8 Pro then you must know that you can pause or resume inbetween downloading the Windows 8 installer file. But if you failed to download via Windows 8 Upgrade assistant then don’t be hopeless as you you can re-download the setup file or Windows 8 installer file. Not only this you can download both 32bit and 64bit version. I want to make it clear. Suppose you are using a 32bit Windows OS ( Windows 7/Vista/Xp or Windows 8 Release Preview ) to upgrade your OS into Windows 8 Pro then your Upgrade assistant will download the 32bit version of Windows 8 Pro. That will be only use for 32bit machine to upgrade. And likewise if you use a 64bit machine or Windows OS to upgrade into a Windows 8 Pro then Upgrade assistant will only download a 64bit installer file. And you can’t use this installer file to upgrade your 32bit Windows os into Windows 8 Pro. 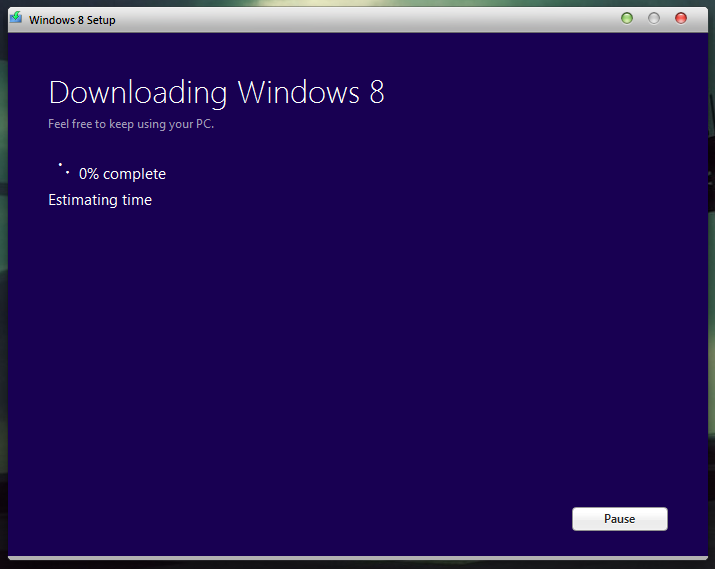 Size of 32bit Windows 8 Pro installer file is about 2GB but 64bit Windows 8 Pro installer is about 2.6GB. If you order DVD pack in which case you have to give Rs 1060 INR extra there you will get both 32bit and 64bit version. Then how to download both 32bit and 64bit version or redownload Windows 8 Pro installer file? First get your key by using windows 8 upgrade assistant that you will get via email. Now run this file or goto http://windows.microsoft.com/en-GB/windows-8/upgrade-product-key-only to download 5mb downloader file. If you run this file on a 32bit machine then you will get 32bit Windows 8 Pro installer file or run on 64bit machine to get 64bit Windows 8 Pro installer file. After running this 5mb file just enter the product key to start download.